Secure on Site was formed in August 2012 by two brothers, Michael and Victor Atiemo, having spotted a gap in the security market. 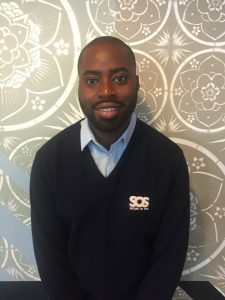 Victor initially registered on to the Get Set for Growth programme and then joined Supply Ready for specialist from expert procurement advisor, Jessica Ashun. Jessica started by carrying out a business analysis so she could see where Secure on Site was as a company and understand their goals. This developed into a concrete action plan with steps that the business needed to undertake to achieve them. During one to one meetings, policies and procedures were reviewed, tenders considered, and business opportunities identified and assessed. Secure on Site has since grown from strength to strength working with clients such as Bellway Homes and the Jamie Oliver franchise. Victor and Michael now have a team of over hundred SIA Licensed security officers on their books. When they first heard from Accenture (via a referral from Project Director Tariq Mahmood) about a new opportunity to deliver security on various Marriott sites, Victor immediately called on Jessica for support and guidance throughout the process. Having passed the initial Request for Information step, they made it to the formal Tender Stage. This asked many questions like ‘what is your USP’ and ‘how do you train your staff’. After succeeding in the tender, Victor and Michael had then to participate in an E-Auction on pricing. Finally, they were successful in this phase as well, and were awarded the contract! A delighted Victor said “Before Supply Ready, I went to other programmes who gave me really bad advice, I paid for the support and would get charged for every single phone call and meeting and didn’t receive much help from them. With GetSet and Supply Ready, I’ve had practical, professional support every step of the way, and it’s been brilliant.